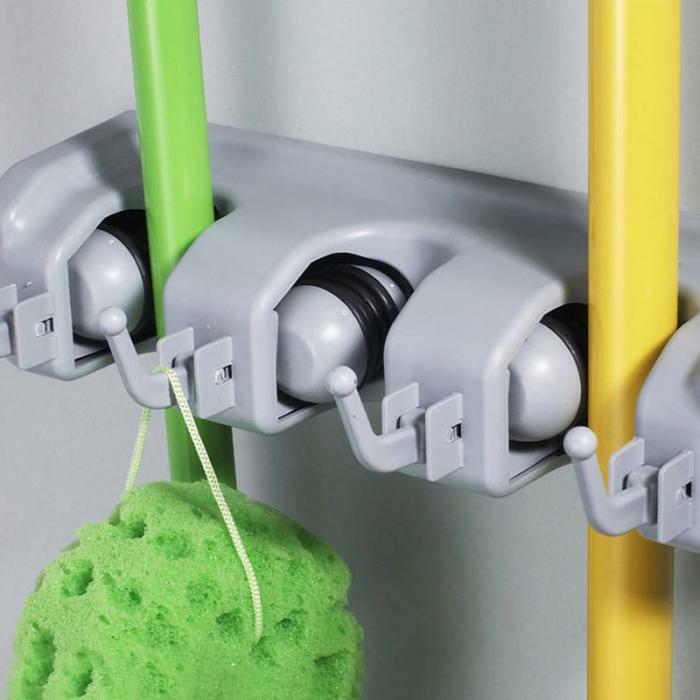 This multi duty holder can be used to hang brooms,mops,hardware tools, cleaning tools, kitchen tools etc. Great choice with Internal friction grip and hook for more purposes. 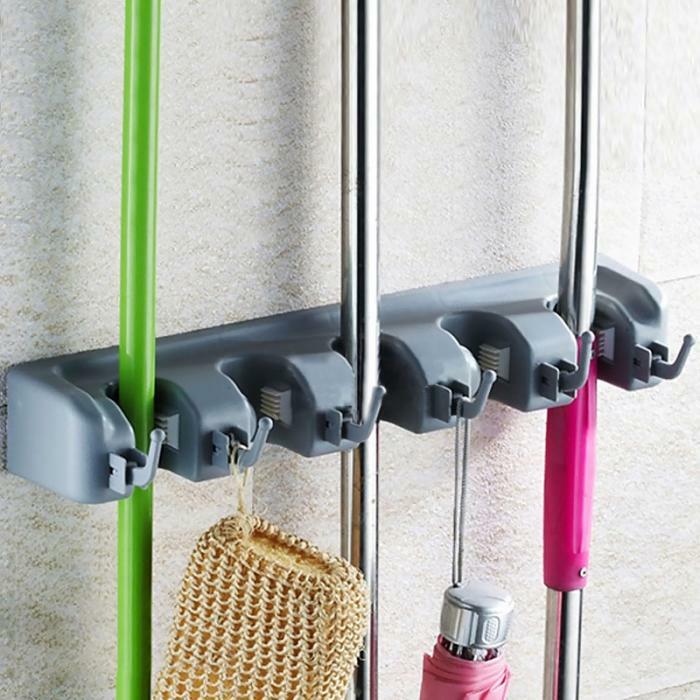 This holder is extremely functional, stylish and easy to use. It's a great choice for your kitchen, garden, garage etc.